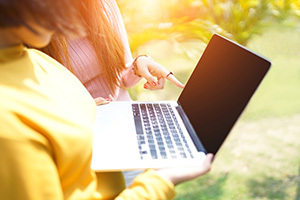 The University of Hawaii System has streamlined students' access to affordable digital course materials through a Direct Digital Access (DDA) partnership with Pearson. The deal is part of UH's Interactive Digital Access program (IDAP), which is launching this summer after a pilot in the Fall 2016 and Spring 2017 quarters. Pearson's DDA model "enables institutions to deliver high-quality digital course materials, including e-books, MyLab and Mastering, and REVEL, to students on or before the first day of class at a savings of up to 60 percent," according to a press release. Integrated analytics on learning activity help educators track and assess students' progress. "We launched the IDAP initiative based on several studies that indicate the lack of access to course materials negatively impacts student academic performance in the classroom," said Tricia Ejima, director for the University of Hawaii Bookstore System, in a statement. "Our IDAP initiative, in partnership with Pearson and other leading educational content providers, is designed to improve outcomes for our students by providing them equitable, easy access to essential course materials they need to succeed."